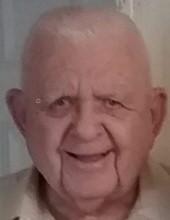 Donald Lee Robinson, 82 of Lodi, Ohio passed away suddenly on Wednesday, Aug. 15, 2018 in Medina, Ohio. He was born July 9, 1936 in Lookout, KY to Denver and Alta (Milam) Robinson. Donald grew up there and on July 5, 1956 he married Joann Dibler, she survives. They resided in Cleveland and Grafton before moving to Lodi in 1984. Donald was employed by General Motors at the Parma Chevy plant for 25 years, retiring in 1991. He was a 37-year member of the LaGrange Independent Baptist Church where he served as a Deacon. Donald will be remembered by his family as a giving, honest and God-fearing person with a heart of gold. His wife and family meant everything to him. He will be missed by many. He was preceded in death by his parents, daughter Brenda Tintelnot and sisters Faye Moore and Patsy Hylton. Visitation will be Sunday, Aug. 19, from 3:00 – 6:00 PM at the Parker Funeral Home, 210 Medina St., Lodi (330-948-1122), where the funeral will be held Monday at 11:00 AM. Pastors John Kimble and Harold Horner will officiate. Burial will follow at Woodlawn Cemetery in Lodi. Online condolences may be shared at www.parkerfuneralhomes.com. "Email Address" would like to share the life celebration of Donald Lee Robinson. Click on the "link" to go to share a favorite memory or leave a condolence message for the family.